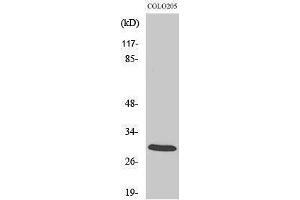 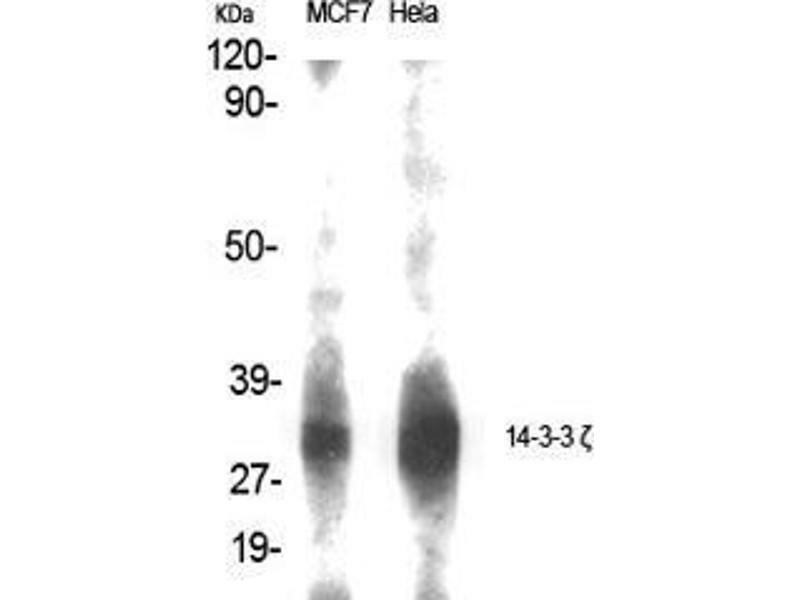 Western Blot (WB) analysis of specific cells using 14-3-3 zeta Polyclonal Antibody. 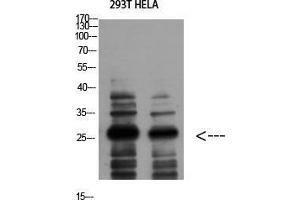 Western Blot (WB) analysis of 293T HeLa using 14-3-3 zeta Polyclonal Antibody diluted at 1:1000. 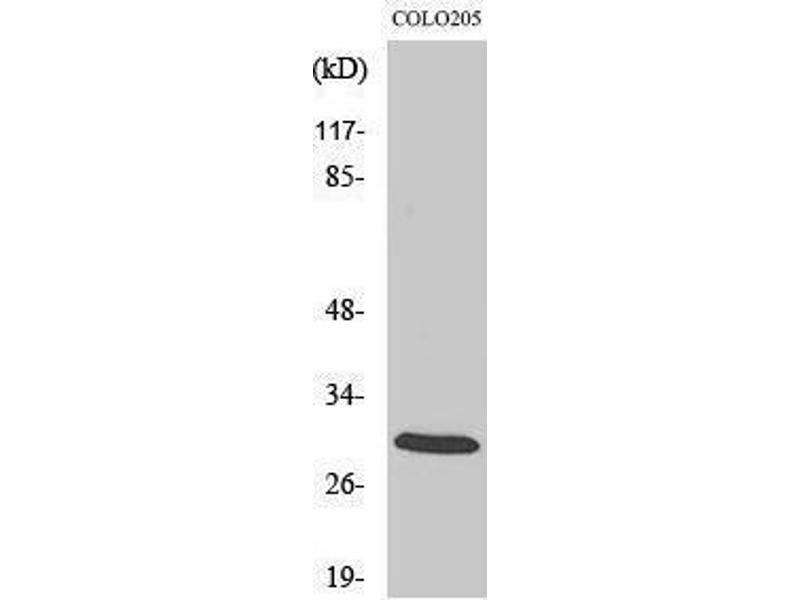 Specificity 14-3-3 ζ Polyclonal Antibody detects endogenous levels of 14-3-3 ζ protein. 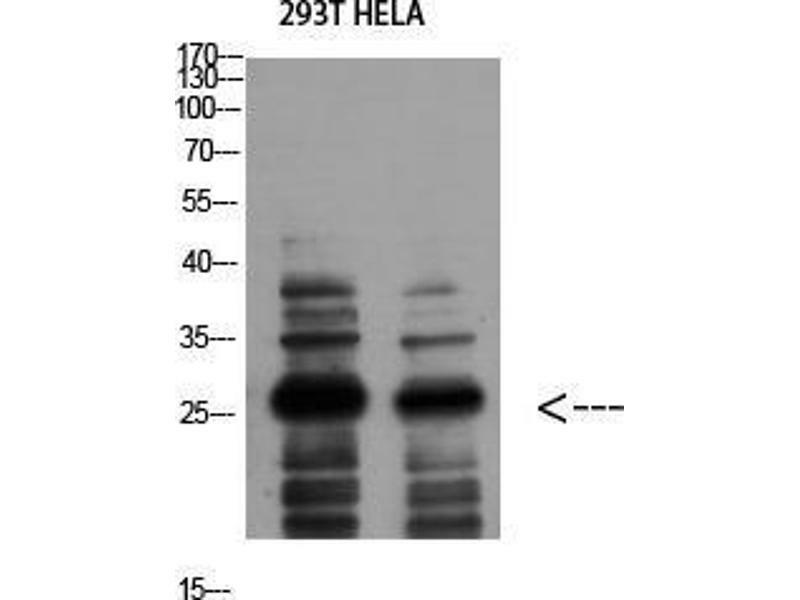 Characteristics Rabbit Polyclonal to 14-3-3 ζ.
Immunogen Synthesized peptide derived from human 14-3-3 zeta around the non-phosphorylation site of S58.